All you need is to enter our Cottage-Style Rooms to see why we call them a “perfect escape” for the couple who wants solitude and the latest in conveniences. It is the perfect place to relax and recuperate. An expansive room awaits with its jacuzzi for two, its own kitchen station, a king size bed and designer linens. Individually climate-controlled with the addition of a ceiling fan our Cottage-Style Rooms offer a cool touch to a hot summers night. The nativestone fireplace keeps you warm and toasty on a cold winters night. The wrap-around deck right outside the private entry door leads you to a large deck with a gas grill, overlooking the Eureka Sunset woods or to the goldfish pond area surrounded by ornamental trees. Relax on the cabin's private balconies soaring high among treetops. 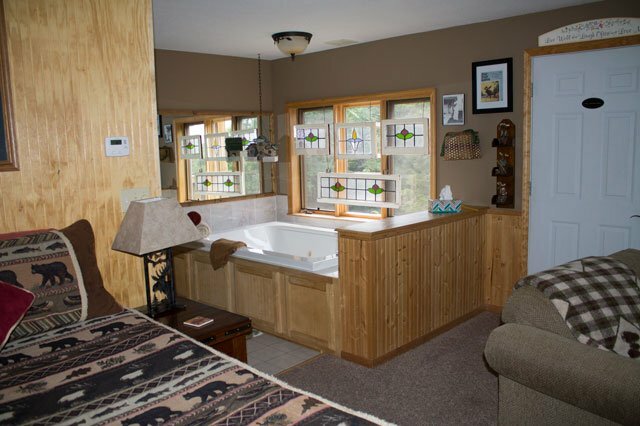 Our Cottage-Style Rooms offer privacy and solitude. 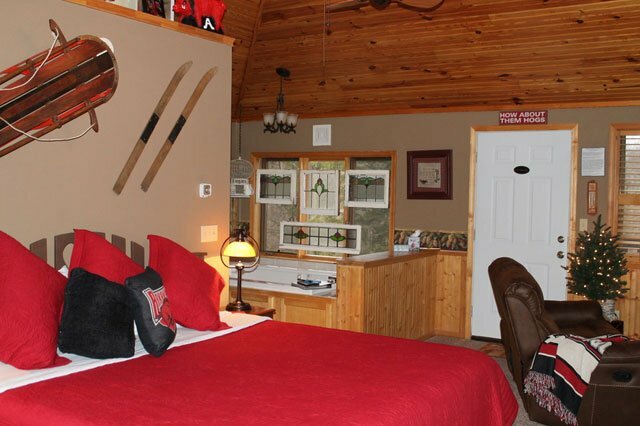 Cottage-style rooms ARE NOT cabins, but we ALSO offer Cabins if that's what you're looking for.